The sharing economy is mostly driven by and aimed at millennials but a peer-to-peer travel club is aiming to get the older generation in on the act and address a social issue at the same time. The idea for the FreeBird Club came about when Peter Mangan started to rent his house in Co Kerry on Airbnb. While Mr Mangan was looking to make some extra income from his property, it was his father, a retired vet who took care of the property while Mr Mangan was working in Dublin who ended up benefitting the most. "He was going into his seventies and there was no question that he was struggling with the downscaling in his work life and being a widower," said Mr Mangan of his father. However, meeting and greeting guests staying in the house gave him a new lease of life. "There were a few older couples who came and straight away they hit it off, there were nights in the local pub, he was invited to the house for dinner, they played golf and he took them to do some sightseeing," he said. And so the FreeBird Club was born. "I thought there is something that Airbnb are only scratching the surface of," he said. 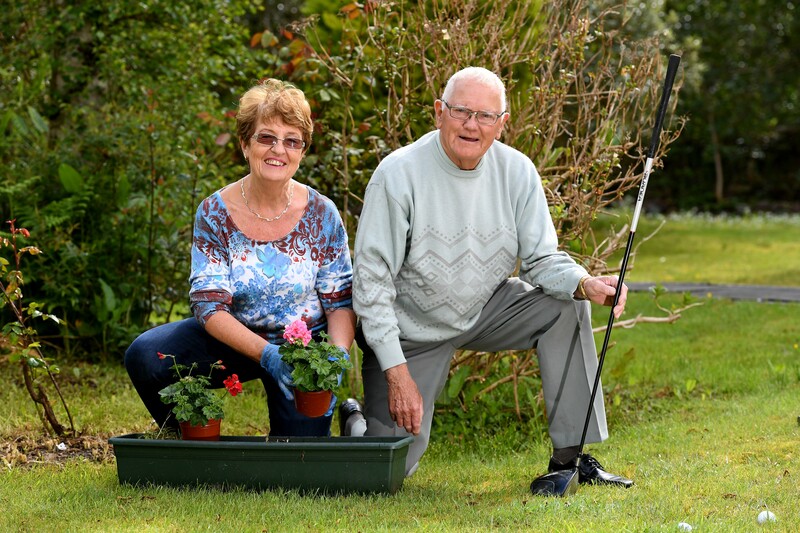 "If you turn up the dial on the social side and make it about meeting people and not just finding a nice place to stay you can tackle some of the challenges for older people," said Mr Mangan. Loneliness and isolation are a huge issue for older people, particularly after the death of a spouse, "it's a real scourge, a real problem in society," said Mr Mangan. He thought that the sharing economy could have potential to address this social issue. Mr Mangan was accepted to participate in an incubation programme, the Impact Hub Fellowship for Longer Lives and carried out research and focus groups. The older people he talked to said they "would like to travel more but they don't feel like they have the option, particularly if they are on their own or have lost a partner," he said. Unlike Airbnb, the FreeBird Club requires that hosts be present, you can't just rent out an empty house, the social interaction is as much a part of it as providing accommodation. Safety concerns were another important factor for those who Mr Mangan talked to it gave rise to the idea of a club where those who want to take part in it have to become members and pay a fee to join. "With Airbnb they felt anyone could be on it and they didn't trust that. If it was a proper club where you have to pay to join, they would have more trust in it," he said. Bethia Tooth was one of the first guests who took part in a pilot of the FreeBird club and travelled from her home in the UK to Kerry, her first trip to Ireland. Despite arriving in Ireland in the middle of storm Desmond last December Mrs Tooth had a "lovely" time staying with hosts in Killorglin. "It's not just a bed and breakfast," she said, "that's what made me so keen on the club." "It was as if a friend introduced me to a friend of theirs," she added. "I told them about my family and they told me about their family, we were chatting away like old mates." While Mrs Tooth travelled to Ireland with a friend, she said the next time she uses the club she would be happy to travel on her own, something she previously wouldn't have considered. "My husband died six years ago and before the FreeBird Club, it would never have entered my head that I would go somewhere new by myself," she said. For those who host, there is also a social benefit as many are "empty nesters" said Mr Mangan. Mary and Barry Fairtclough were hosts as part of the FreeBird Club pilot scheme and rented out a room in their house in Kilorglin. They had two separate guests and found it a "great" experience to have people stay with them. "All our children are away abroad and we are retired and are in a beautiful place and thought it would be exciting to share that with others," said Mrs Fairtlough. Using the same model as Airbnb, the FreeBird Club allows hosts to charge a fee for guests to stay in their homes. There are no set prices and hosts decide how much to charge, usually a similar price to a local B&B. This provides an additional income, something that is important for pensioners says Mr Mangan as it can be a difficult time for them financially. "Many struggle with inadequate pensions and it's a way to monetise the one asset many older people have, a house with their mortgage paid off," he said. Mrs Fairtclough said this is something that is helpful to them and a way of allowing them to make income from the extra space in their house. "It's an extra few bob, especially on our pensions, you want to make the most of the money that you have," she said. The FreeBird Club is a business that addresses a social need and it was this that helped it to win the 2015 European Social Innovation Competition run by the European Commission. Mr Mangan said that the business part is important to increase its effectiveness. "It is a modern-day social enterprise, it's a for-profit business," he said. He believes this will allow it to have a greater impact "to grow it has to be profitable in order to attract investment." But he stresses that the social impact ethos "is at the very centre of what we are trying to do". Note: The FreeBird Club is due to go live in early June. Can access apps make cities wheelchair-friendly?